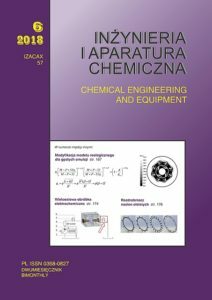 CHEMICAL ENGINEERING AND EQUIPMENT journal is devoted to process calculations and design of apparatus and devices employed in process industries, especially chemical, petro-chemical, food-agricultural ones and also in energy production, municipal system maintenance and environmental protection. of Science and Higher Education (since 2015). – calculations and designing of apparatus in aspect of yield improvement, better use of row materials, energy saving, environmental protection.